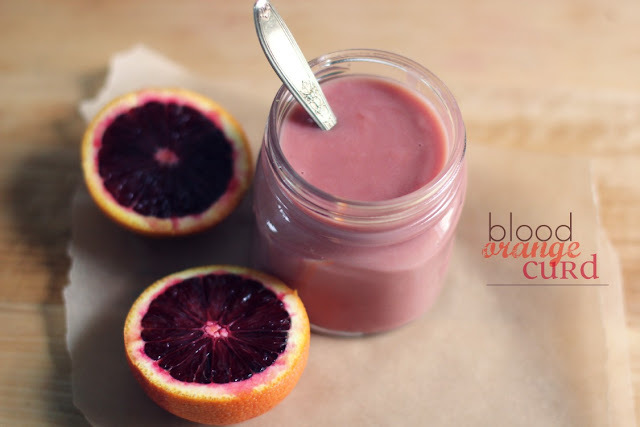 I have been wanting to make blood orange curd for months – I love curd, and, as you know, am obsessed with blood oranges. Then Ms. Heidi blogged this absolutely gorgeous post on grapefruit curd and Morocco, and I read it while my newly purchased bag of blood oranges lounged next to me on the kitchen table, imploring me to use them. Her Polaroids made me dream of other places, and taking risks, and chasing dreams. 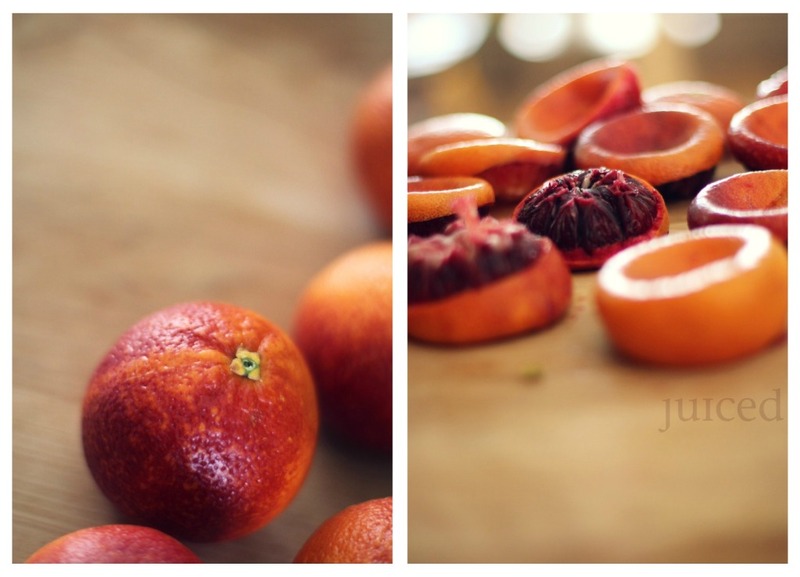 The oranges seemed to taunt me: they had traveled farther, had been around the world. They would become something new, something exciting.They were the closest I could get to an adventure. 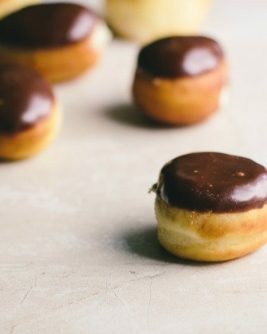 So I took what I could get, and that same afternoon I made a batch. 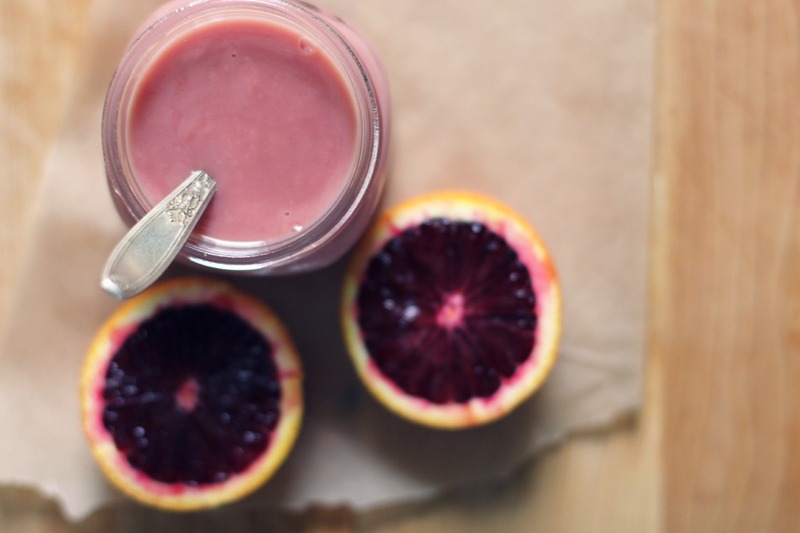 There will be a jar of this in my fridge until blood oranges are absent from the market. And burning dreams may be on hold for now: there may not be that cafe to open and Paris to see, yet. But every time my spoon dips in that pretty pink curd, I will remind myself that while there is much to do and see in this wide world, right now, this present, is where I will chose to be. Longings of the heart are not pushed aside, but will be looked for daily, in every moment.The adventure belongs to these hands, and to the hands I’m holding. 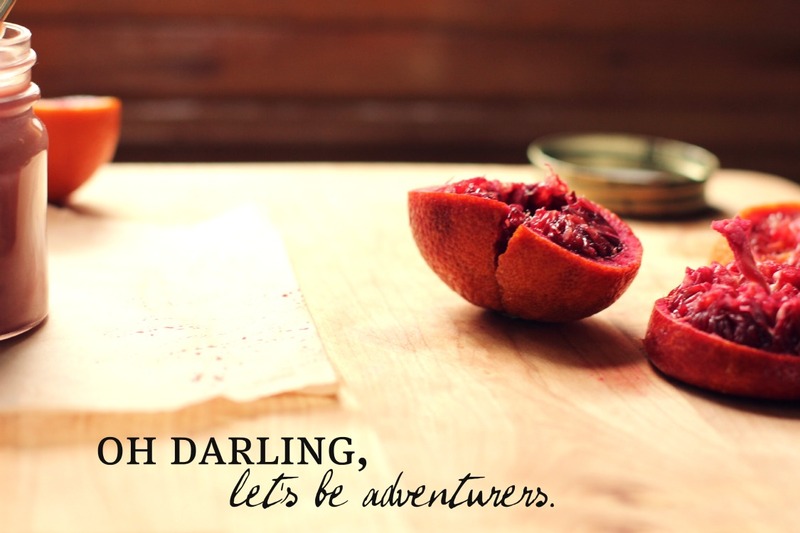 * The origin of the quote ‘Oh, Darling, Let’s be Adventurers’ is from Izabella, who sells prints in her Etsy shop. If you are really into curds, you might enjoy this coconut curd from the Country Cleaver. It’s next on my list. 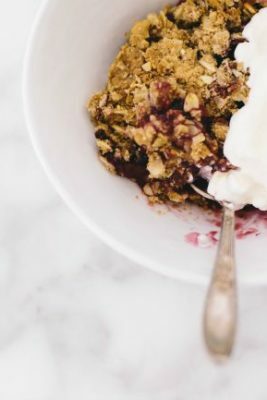 Perfectly sweet tart, a dreamy treat to be spread on whatever you come up with: toast, biscuits, scones, afternoon cakes, shortbread crust and puff pastry. Simmer the blood orange juice in a small saucepan, reducing it to 1/2 cup. Set aside to cool. Cream the butter and sugar together [in a stainless steel bowl] until light and fluffy. Add the yolks, and then the eggs one at a time, beating well after each addition. Stir in the salt, and then gradually add the blood orange juice and lemon juice. Bring 1/3 cup of water to a simmer. Place your stainless steel bowl of curd on top to create a double boiler. Stir constantly, and heat slowly until the sugar is dissolved and the curd is thick enough to coat your spoon [about 166 degree; 10ish minutes]. The curd will thicken as it cools. 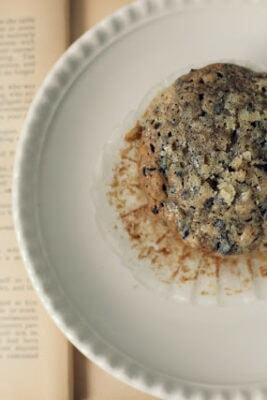 Keep refrigerated for a week, or up to a month in the freezer. Makes about 2 cups. 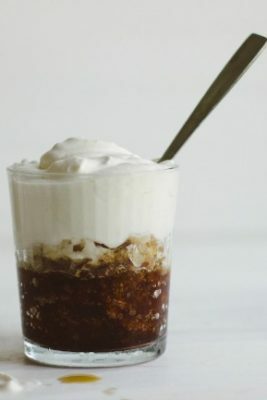 Oh yum, this looks so delicious! Perfect to drizzle on cake! Oh this is a lovely post and some stunning pictures. 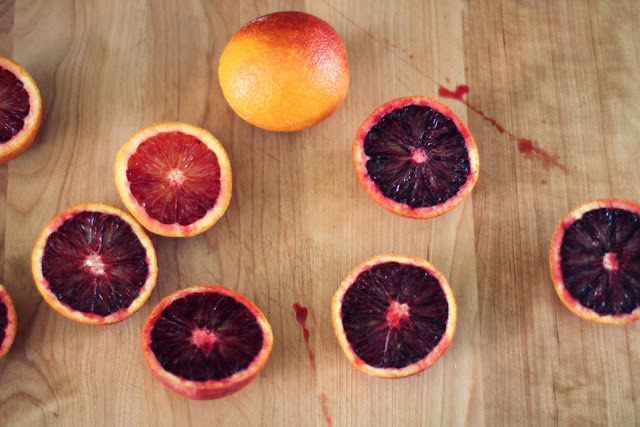 Blood oranges are just wonderful aren’t they? 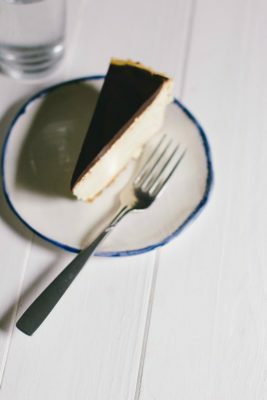 Beautiful beautiful post! 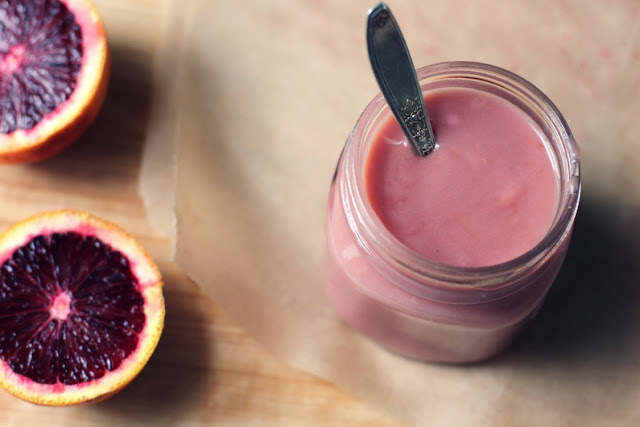 Your blood oranges are always so much darker and more incredible to look at than the ones I can buy here – very jealous 🙂 That curd looks gorgeous too – definitely one to make. Thank you! I wonder why the color is so different. I’ve had a couple light ones, but mostly just purple. Hmm. Sorry for not finding you earlier!